Over the Christmas break we took a day to visit a new local library that we had not been to yet. 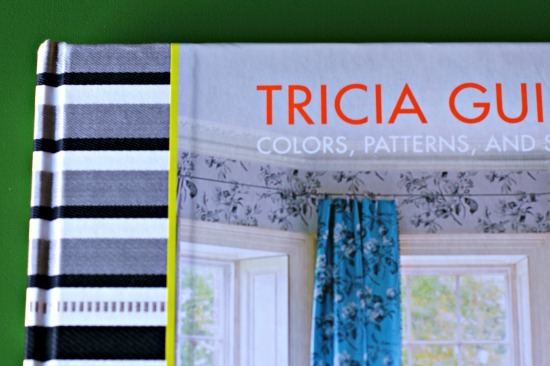 I know that many of us enjoy nothing better than reading home design blogs, but sometimes there's nothing like cracking open the pages of a good ol' book. While Caleb was looking through shelves of books about Star Wars and Emily was looking for e-books to load on her Nook, I wandered over to the home improvement/design/decorating shelves. I was pleasantly surprised at what I found! These were just the 5 that I checked out, but there was shelf after shelf of great choices. My favorite one that I actually read all of in one sitting was Lara Spencer's I Brake for Yard Sales. 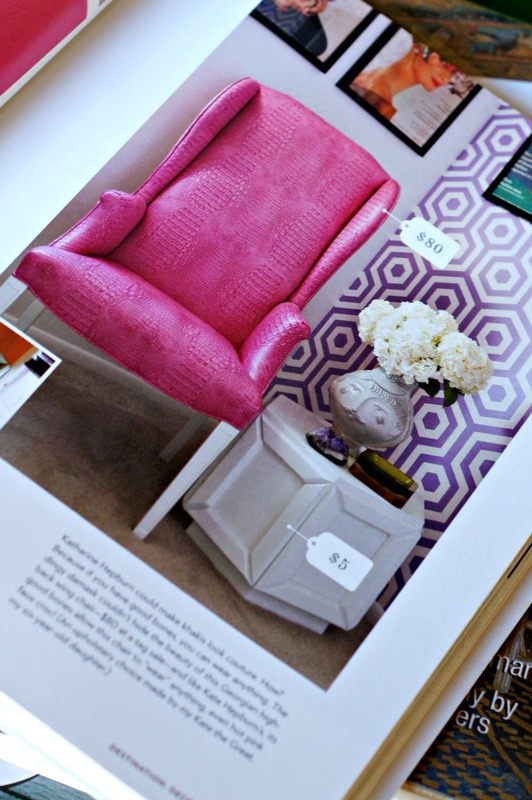 I'll never tire of seeing trash turned to treasure, and what an eye this lady has for all kinds of design styles! 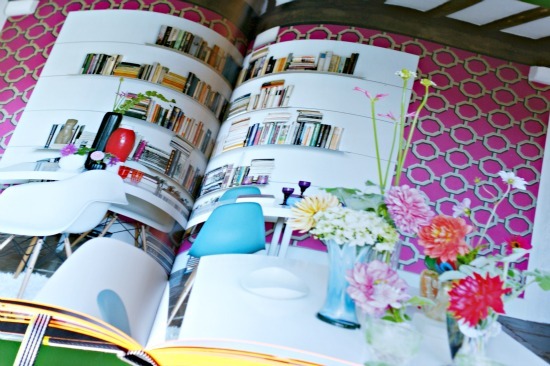 These pages were from Extraordinary Interiors, a book about incorporating salvaged items into a home's decor. Look at all of the unique character displayed here! 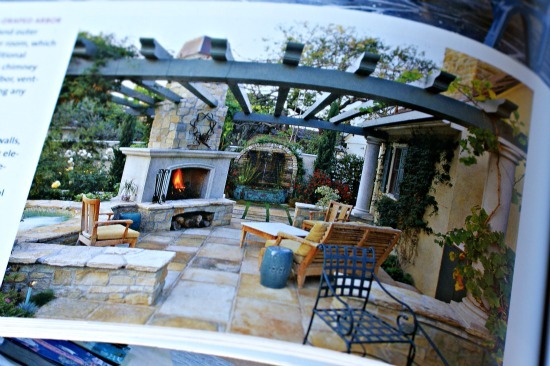 One of my home goals this year is getting some significant work done on our backyard, so there was good inspiration to be found in the Outdoor Living Idea Book. And, I checked this book out mainly because the cover was so beautiful! One, it was a LARGE coffee table type book. Two, the spine is covered with those awesome stripes, which are fabric. Three, look at the inside cover liner...yummy! 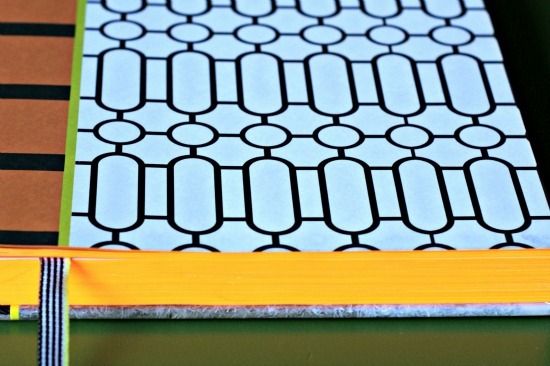 And yes, the edges of the pages are fluorescent orange. This one stood out on the shelf! It had some beautiful designs in the photographs, also. How's that for a statement wall? 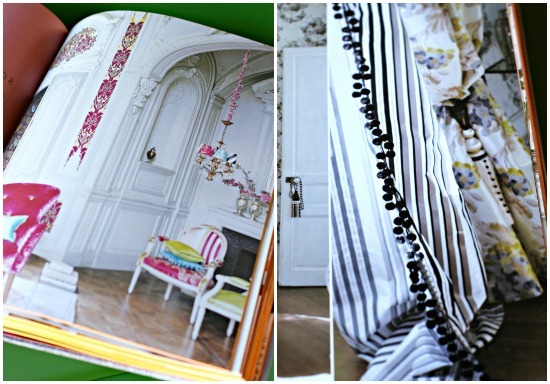 Pretty details-I love the white room with fun pops of color and the pom-pom fringe on the curtain panel. 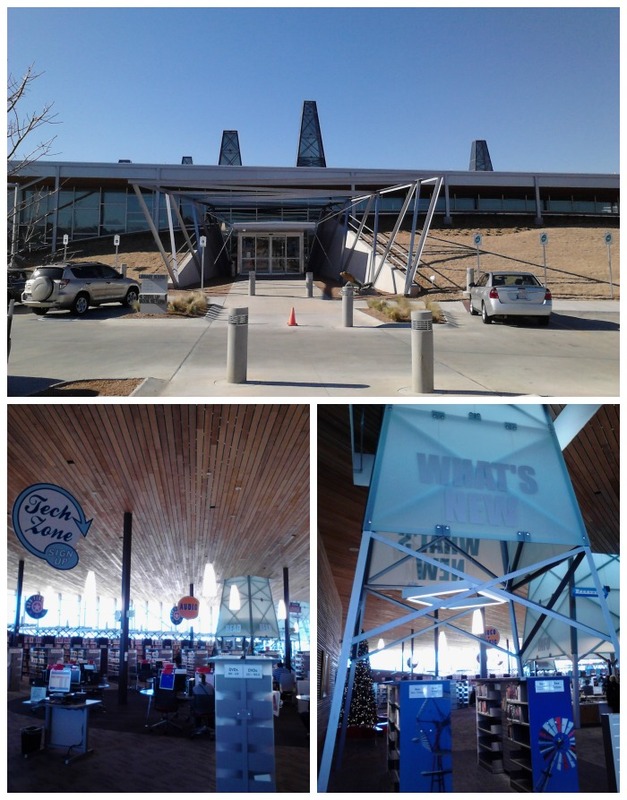 Have you checked your local library for design inspiration? 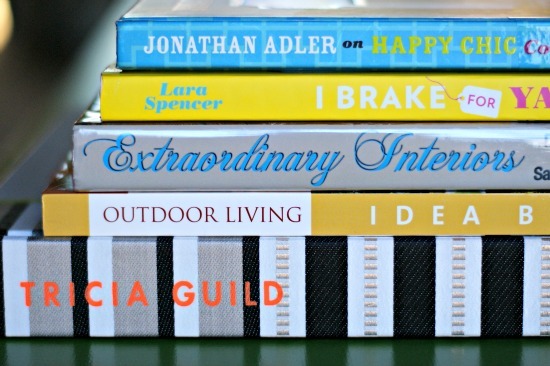 I'm afraid in this age of technology, books are becoming overlooked (even if they are great accessories!). Check the library...you might be missing out! We haven't been to any library for years. :( That place looks so cool. We will definitely have to check it out!! 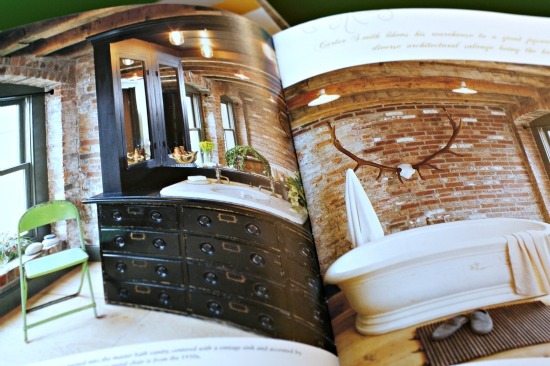 Ok...I WANT that bathroom with the antlers and brick wall!! How warm and cozy is that?! Our library also has TONS of fabulous magazines. I could spend ages leafing through Veranda, House Beautiful, etc. We try to make it to our library once a week. I also read the I Break for Yard Sales book. I love before and afters!! I ordered I Brake For Yardsales and it shipped today! I loved the show and can't wait for the book! Libraries are my best friend for inspiration! Good tip! Wow that is an awesome library! I'd be hanging out there for weeks! We haven't been to the library for a year or so...obviously we're missing out ~ great inspiration! The library I work at also has the I Brake for Yard Sales as well as the latest Nate Berkus, Young House Love, and Ana White books to name a few. I love them!